The European Court of Justice has published guidance on “gun-jumping”, a failure by merging parties to comply with the “standstill obligation”, which requires companies to seek clearance by a competition authority before implementing a merger. Guidance on “gun-jumping”—a failure by merging parties to comply with the “standstill obligation”, which prohibits them from taking any steps to implement their merger before clearance from the relevant competition authority is received—has been provided by the European Court of Justice (ECJ). 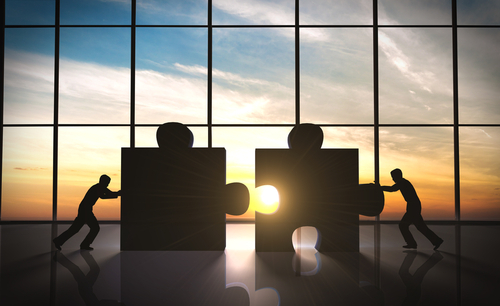 In Case C-633/16, several KPMG and Ernst & Young (EY) companies entered into a merger agreement in relation to their Danish auditing activities. When the merger agreement was concluded in 2013—but before the clearance from the Danish competition authority was received—the KPMG companies gave notice to terminate the cooperation agreement to which they were party with KPMG International. The Danish competition authority declared that, by terminating the cooperation agreement, KPMG had breached its standstill obligation and taken steps to implement the merger prior to approval. The parties appealed this decision and the case was referred to the ECJ to decide on the scope of the standstill obligation. The ECJ held that while KPMG’s withdrawal from the cooperation agreement had a conditional link to the merger, the EY companies did not, as a result of the termination of the agreement by KPMG, gain any influence over the KPMG companies. Therefore, the termination of the agreement did not amount to gun-jumping. Christian Riis-Madsen, managing partner of O’Melveny’s Brussels office, said that the ECJ’s decision is an important clarification of the scope of the gun-jumping prohibition under EU merger control law and has application to all mergers subject to review by the European Commission and most EU member state competition authorities. “The ECJ judgement provides some helpful clarification regarding the scope of the gun-jumping prohibition,” he said. “Nevertheless, parties to a proposed transaction should still proceed with caution when determining which steps they can take in preparation for implementing a transaction. Legal and regulatory highlights from around Europe, including a French anti-corruption bill, geo-blocking, diversity guidance and more.